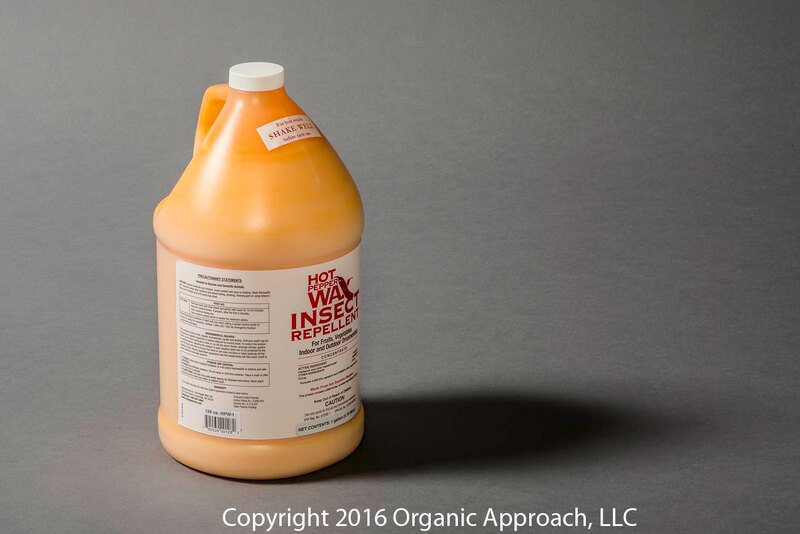 Hot Pepper Wax natural insect repellent is a garden/greenhouse spray repellent and insecticide. It is proven effective against aphids, spider mites, whiteflies, cabbage loopers and beet armyworms for up to 2 weeks. 1 gal bottle (4X1 CASE) Price is for a full 4-gal case (4 X 1 gal). Order Quantity reflects the number of full cases being ordered. The chief active ingredient, CAPSAICIN, is an extract from cayenne pepper. It's harmless to humans - in fact, it's as edible as the sauce on barbecued Buffalo wings. For years, organic gardeners have experimented with hot-pepper home remedies against every pest, from aphids to squirrels.